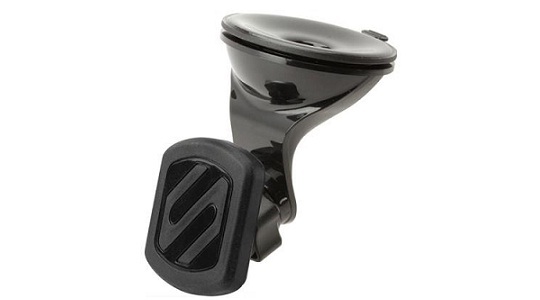 Scosche Magdmb magic mount system can conveniently mount your devices to the dashboard in your car, truck, boat or RV. Lock your smart devices at any angle at any surface using this system. It features 4 axis adjustable angle ball joint neck with lock for mounting in portrait or landscape orientation for best viewing. A set of powerful neodymium magnets hold your devices securely in place even on the bumpiest roads and yes, it is 100% safe. Its low profile magnetic profile mount safely attaches to your dashboard using the automotive grade adhesive for perfect grip.